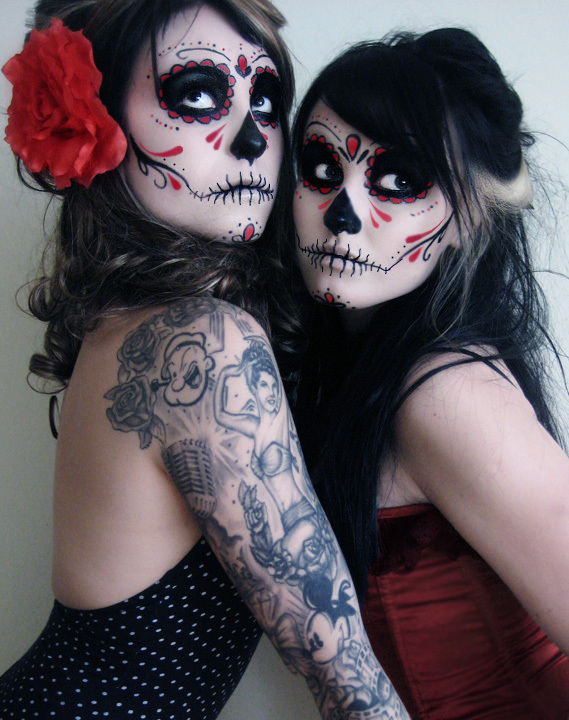 They are called Día de los Muertos makeup (which in Spanish means Day of the Dead makeup). Sported by celebrities such as Lady Gaga (in her music video for Born This Way) and various alternative models such as Hex Hypoxia and Miss Twisted. 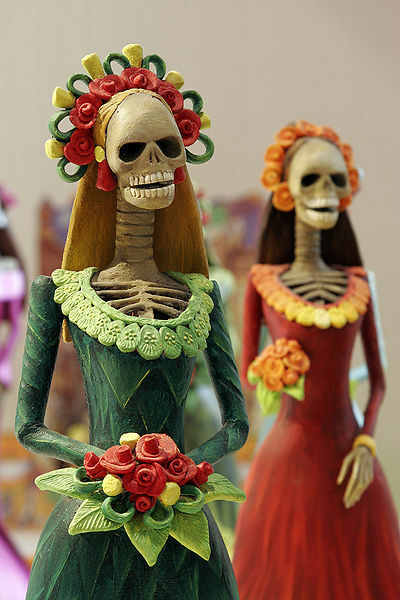 Day of the Dead (Spanish: Día de los Muertos) is a Mexican holiday celebrated throughout Mexico and around the world in other cultures. The holiday focuses on gatherings of family and friends to pray for and remember friends and family members who have died. It is particularly celebrated in Mexico, where it attains the quality of a national holiday, and all banks are closed. The celebration takes place on November 1, in connection with the Catholic holidays of All Saints’ Day and All Souls’ Day (November 2). Traditions connected with the holiday include building private altars honoring the deceased using sugar skulls, marigolds, and the favorite foods and beverages of the departed and visiting graves with these as gifts. They also leave possessions of the deceased. 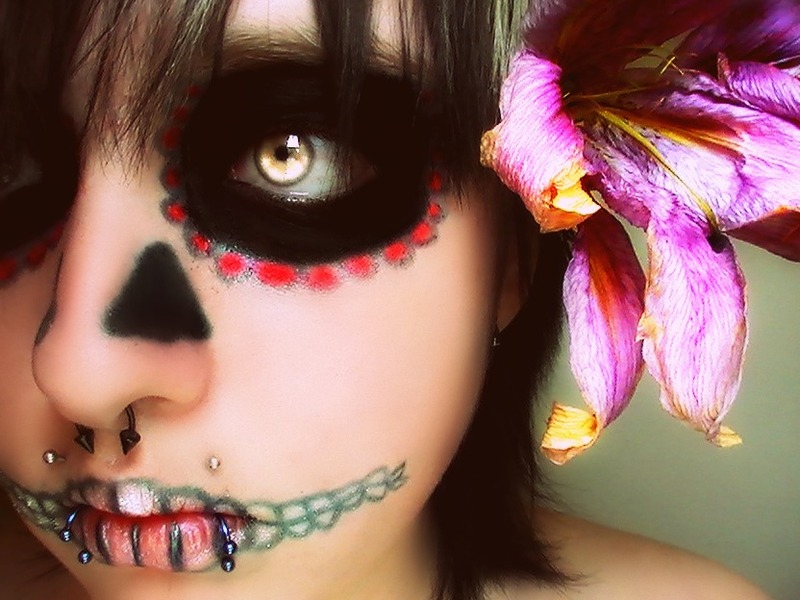 Well obviously Día de los Muertos Makeup is a popular on Halloween because it puts a feminine touch to the boring and overdone “Scull” and is, well, pretty. 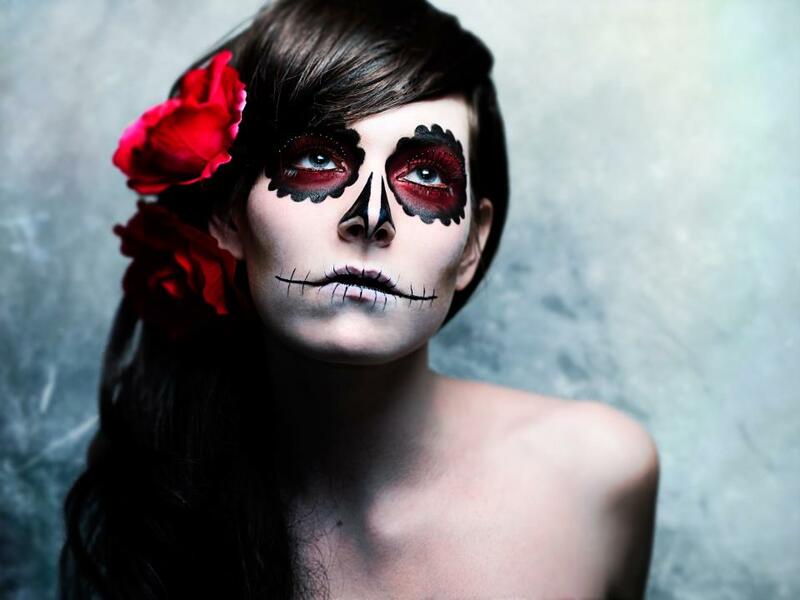 If you’re a lover of all things abstract and of course have a love for makeup, then Día de los Muertos Makeup is a definite must-do, even if you just do it once. Hello! I am the person in the very top image. I am sorry, but I would appreciate it if you removed the image. Personal reasons. I really hope you understand. Hello. I am the person in the very first image and I am requesting that it please be removed from this post. Personal reasons. I hope you understand. Hi Penny, I have removed the picture as requested. Marinda is no longer a part of Pout Perfection, so on behalf of her I would like to apologize for using your image without your permission. Trust you find the above to be in order.